This week: some encouraging and yet convicting thoughts on leading your family in worship, more devastating pictures of Japan, the importance of hell by Keller, and Tim Challies gives a solid review of “Love Wins,” the new book by Rob Bell that has caused not a little stir. As a pastor I often have individuals approach me with a question about how to minister to their children or spouse in a specific area. Usually they are concerned about a particular sin or struggle in their family member’s life. In this way we serve as firefighters rushing to extinguish this issue or that. At times this is needed, but it should not be our regular course of action. Systematic discipleship is a much better approach and is aided by family worship. Daily family worship will provide a strong foundation that is built upon hearing the Word daily, praying daily, and giving thanks daily. It takes time to build a strong house. It is an unsteady house that is the result of the carpenter running from shaky wall to shaky wall to hammer a nail in here or there. 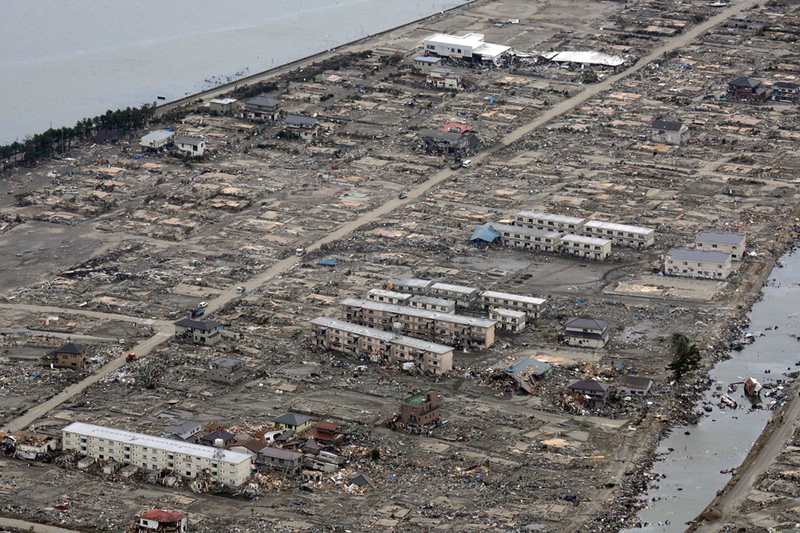 The vast devastation wrought by the earthquake and resulting tsunami that hit Japan on March 11, 2011, may only be matched by the destroyed lives left in their wake. Few survivors have been found, but families continue to search for their sons, daughters, wives, husbands and friends. Threats of a nuclear reactor meltdown and resulting disaster loom. Hell begins with a grumbling mood, always complaining, always blaming others . . . but you are still distinct from it. You may even criticize it in yourself and wish you could stop it. But there may come a day when you can no longer. Then there will be no you left to criticize the mood or even to enjoy it, but just the grumble itself, going on forever like a machine. It is not a question of God ‘sending us’ to hell. In each of us there is something growing, which will BE Hell unless it is nipped in the bud. To my surprise he got very quiet and said, “Now that scares me to death.” He almost immediately began to see that hell was a) perfectly fair and just, and b) something that he realized he might be headed for if he didn’t change. If we really want skeptics and non-believers to be properly frightened by hell, we cannot simply repeat over and over that ‘hell is a place of fire.’ We must go deeper into the realities that the Biblical images represent. When we do so, we will find that even secular people can be affected.